We are living in the generation where millennials are the jack of all trades. You may write, manage a team, coordinate events and may even have a skill for marketing. Should you put all these skills on your resume? Absolutely not. Your “Jill of all trades” resume may not be as effective when applying to a role unless that is what the position looks for. While it is great to have all these marketable skills, it may not be necessary to put on your resume for the specific position you are applying for. For example, let’s say you are applying for an editorial position. You have great editorial experience, yet a hiring manager may look over your resume because you listed a lot of experience that is not relevant to the job role. When you are applying for jobs, it is important to create a resume for that job role. This changes your mindset on just passing your resume around to 100+ jobs and not seeing any results. Failing to change your resume for a job role is a common mistake that millennials make. This results in discouragement during job hunting when people are just making simple mistakes that can be fixed. You want to have a regular resume for your target industry/role that you aspire to be. You can aspire to work in human resources at a media company, but to get your foot into the door, there is an opportunity in the ad sales department. Instead of highlighting your human resources experience, list all the relevant skills and experience you had that will make you attractive to be a part of the ad sales department. You can put your “Jill of all trades” resume to use! Some jobs love versatility, but don’t forget to highlight the important experience the job is looking for. It’s great to mention some transferable skills that will make you a more attractive candidate. If you are applying for a job in a different industry, you really need to think of some skills or courses you have taken to match with the requirements of the job role. A new industry may even require a different format for your resume so be sure to have a professional in the new industry look over your resume. As mentioned before, you should have a standard resume for your desired career that highlights what you want to do. If a professional looks at your resume without meeting you face-to-face, your experience should reflect your interest. 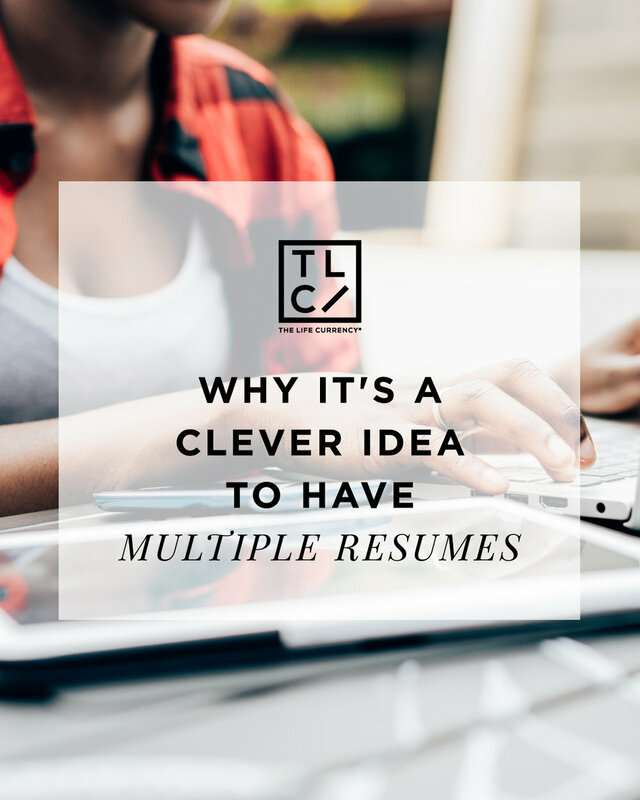 It’s important to have multiple resumes and always be prepared to apply for the next opportunity that may be given to you. It’s nifty to create a document of all of the industries you would possibly work for and list your skills/experience for each industry and different role you may be interested in. To stay organized, be sure to save different resumes according to the job or industry it is dedicated to.